There’s no right time or age to start learning to shave. So, how do you know when to talk to your daughter about shaving? 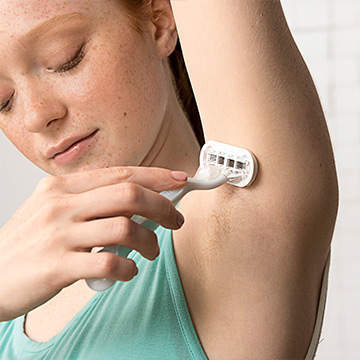 Learn answers to common teen shaving questions. Puberty can hit earlier in life or later, and with it comes thicker hair on legs, as well as new hair growth under arms and around the pubic area. 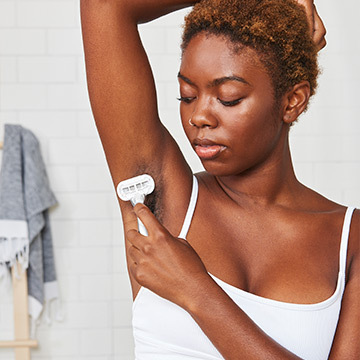 Since puberty and developing body hair hits girls all at different times, how do you know when to teach your daughter how to shave? When should I talk to my daughter about shaving? Though there isn’t a set age to talk to your daughter about shaving, you can look for noticeable cues it’s time to have the conversation. For instance, she may approach you about wanting to start shaving, or you may start noticing her body hair and want to start that conversation. Either way, make sure she knows you’re there to talk with her about shaving when she’s ready. What should I to do if my daughter comes to me about shaving? Especially as puberty hits, you daughter might bring up shaving on her own. It could be out of simple curiosity or because her friends are starting to shave. Or, she could be feeling self-conscious about her new body hair. Change can be scary, especially when it comes to body changes. It’s important to remind your daughter there is nothing wrong with having body hair and shaving is entirely her choice. 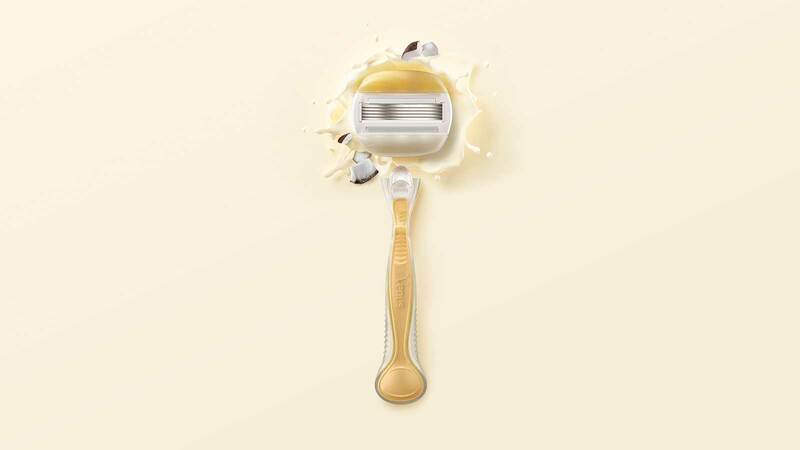 Let her know you are there to teach her if and when she wants to start shaving. What should I do if my daughter doesn’t come to me about shaving, but I think she’s ready? If your daughter is growing more body hair but hasn’t tried to talk to you about it, that’s fine. She may not be interested in shaving. However, she might also be scared to talk to you about it, in which case starting that conversation may help her feel more comfortable. You can wait and see if she approaches you, or you can bring up the topic in a subtle way. Let her know if she wants to learn how to shave, you’re there to help her along the way. And if she isn’t interested, reassure her not shaving is perfectly OK, too. What razor should my daughter use when first learning to shave? First and foremost, make sure your daughter knows sharing razors is not sanitary and can cause infections to spread. Because of this, it’s important that she has her own razor blade. Help your daughter build her own razor. That way, she can choose which handle, color and number of blades she wants. Are there any safety shaving tips I should tell my daughter? In addition to not sharing razors it’s important to throw away disposable razor blades or change blade refill cartridges when they become dull. She may be nervous about getting nicked, but assure her a sharp blade leads to better results and less chances of nicks and skin irritation than a dull blade. 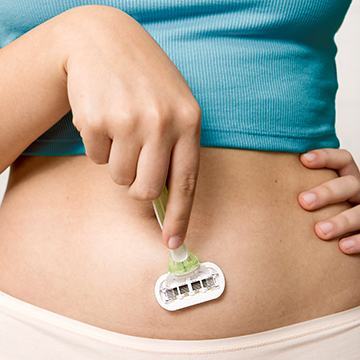 If her blade pulls at her body hair or feels rough on her skin, it’s time to replace it. In general, razor blades last five to 10 shaves depending on how frequently she shaves. Another safety tip is to always use shaving gel. This helps maintain moisture and allow the razor to glide more easily across the skin, which reduces chances of skin irritation. 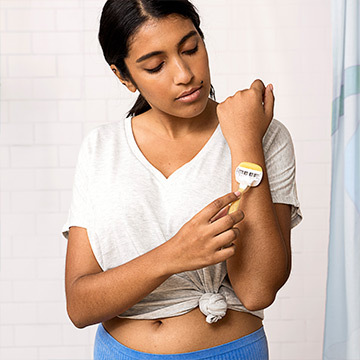 Applying a moisturizing lotion or oil, one that’s preferably alcohol-free, after she finishes shaving will also preserve moisture and keep her skin hydrated. How do I teach my daughter how to shave? You can show her how to shave or walk her through the process. For bikini area, first shave in the direction of the hair growth; then reapply shaving cream and go against the grain for a closer shave.